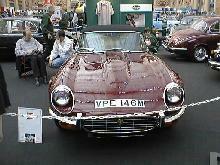 Launched alongside the fixed head coupe version the E-type 3.8 Roadster first appeared at the Geneva Motor Show in 1961. The new car took the motoring world by storm, never before had a genuine supercar been available for such a low price and in such numbers. 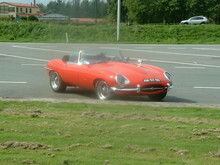 The 3.8 E-type ( or Series 1 as it is now referred to ) made use of the legendary XK series twin cam engine. 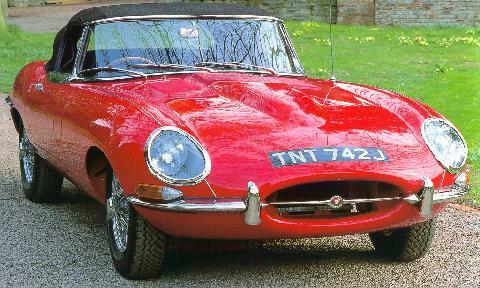 This engine combined with the E-types aerodynamic shape produced startling performance figures for the time, early press reports claimed 150mph top speeds! 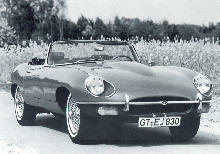 The 3.8 Series 1 E-types sold well from the moment production started until their replacement in 1964 by the 4.2 version. 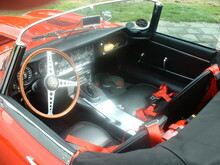 Many enthusiasts prefer the Series I 3.8 cars with their covered headlamps and lighter appearance, early cars had a rather crude "Moss Box" transmission which was later replaced by a more refined unit. 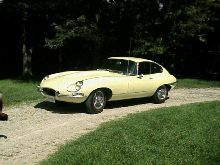 Buyer Guide - Jaguar E-Type (1961-1974) featured in Practical Classics June 2011 – available from our sister site Bookbase. Click Here to view. 8' 0" 4' 2" 4' 2" 14' 7" 5' 4" 0 (24) 0' 0"